Navigation: Home / Forums / Nintendo Switch / Was ARMS a failure? Topic: Was ARMS a failure? ARMS is almost a year old and has currently sold over 1.63 million copies. It's launch was very impressive if you think about it, it's launch surpassed the likes of established fighting IPs like Street Fighter V and Tekken 7, and Marvel vs Capcom (that's not really hard to do though RIP). The game only took a about two weeks to reach 1 million units, but the number hasn't increased by that much since then. I was delighted to see the competitive push from Nintendo for it's new IP in the competitive scene, as well as a global test punch before launch another and another last month. There was an invitational tournament in American and was even was of the main games in EVO Japan 2018. However ARMS is not going to be at E3 2018. And as we all know in the recent Nintendo direct, Smash on the Switch was announced along with some other updates for games that got me really hyped up for like the Octo Expansion. To add onto that update 5.0 was stated to be the last major update by the developers which to be is really disappointing, the game had so much potential for a proper single player campaign that could expand the lore for the game. The amazing designs of the characters to me seem wasted when they basically have no real back story, no I don't count biff's narration before the fight starts, at least overwatch had some cool cinematic trailers for it's characters also with street fighter having an ending for each character when you win the single player campaign. But with ARMS you just get "You are now the champion!" As for the gameplay itself it seems to lack the depth as opposed to others like Smash, Tekken, Street Fighter, etc. ARMS is by no means a "Wii Sports Boxing 2.0" but I think a lot people can agree that the depth isn't that deep as made out to be. If you watched the arms direct, that pretty much all there was to the game in terms of mechanics and depth. I remember all the hype build up I saw before launch, there were so many videos for ARMS and now I barely see any large gaming channels uploading ARMS content or if any. You of course have your youtube channels dedicated to the game though. One thing that really bothered me was that not even a year into the game's lifespan the producer talks about being open to a sequel and mentioned revealing "unknown stories". Sure, why give us some story elements in the first game when you can wait for a sequel that might not even come out 10/10 Nintendo. But seriously though, why should I wait for a sequel of a game that should've been in the original? This is the equivalent of selling you parts of the base game like Destiny is doing with its DLC. I actually would be much happier paying $20 for a good story based campaign like Splatoon 2 is doing... than wait for a sequel of a game that fixes the problems of the first. -I do not hate ARMS, I played the latest global test punch and actually had a lot of fun to hours on end, I would pick up the game if not for the many options that I think I would pour more time towards like Mario Rabbids, Mario Odyssey, and upcoming games like Octopath Traveler. If I had the funds I would undoubtedly buy this game. I think it is extreme to call any game that sells 1.7 million copies a "failure" but it did fail to generate the lasting hype that other games have had. I think a big part of the problem is that in 2018, people expect more from a game, even a fighter, than a VS the computer tournament mode and multi-player. The game is visually and mechanically very creative and fun to play. But that wears off and there is nothing else there to keep people playing. There is no story mode, limited lore, and a very very basic online structure. You can pick it up and play with a friend and have a lot of fun, but beyond that there isn't much there. I would hope that Nintendo continues the IP and gives us Arms 2 someday with these issues addressed. I think it is extreme to call any game that sells 1.7 million copies a "failure"
Nintendo said they had to sell two million copies of Breath of the Wild to make a profit, so, financially, ARMS must have been a success. Not at all. Judging on how much it sold in a rather short amount of time(still a not a year old yet), I'd say it probably exceeded expectations. Not to mention it does have a decent competitive audience. I refuse to believe that anyone could be disappointed by Arms' current success. It's only disappointment is that it came out between BOTW and Splatoon 2, and no sane human being could've POSSIBLY believed its sales would compare to either. The only failure that can possibly be taken from it, is that it isn't Splatoon 1. And even then, according to reviews and fans...it isn't Splatoon 1, so if anything, that seems fair to me. For that matter, I can name quite a few games I love that, if their sales were combined, would still be less in total than what Arms has already sold. Imagine all the devs who wish their games could "fail" this much. @kkslider5552000 Comparing any new IP to Splatoon isn't fair. Splatoon is a one in a million ground-breaker of a new IP. It's a failure in the sense that Nintendo failed to give it a budget. I honestly have no compass for this IP. It exists as 'taking up time that a dev team could be using to make another 40 million-selling Mario Kart title,' so it very much might be a one-and-done. Personally, it feels like another rushed Wii U-era Nintendo game, not given the budget of their tentpole series. I really like the concept of the game and it can be fun to play, the mechanics just didn't feel polished enough to have the appeal of a fighting game even if there are some neat details in the characters and stages. A sequel would need a more satisfying progression, some kind of a singleplayer to teach people how to play in-game, and quite possibly a new development team, because Mario Kart 9 is surely in the works. It was way more successful than I thought it'd be and considering it is on its way to 2M in sales I'm certain it'll get a sequel. A completely original fighting game making it over the 1.5m mark in the year of our Lord 2017 is nothing short of a miracle. That said, Nintendo kind of dropped the ball in terms of longevity, I agree. 5.0 is great, but the launch version... Ugh. It was a game with a very steep learning curve in which unlocking all available options took forever. I'm sure that alone killed any momentum the game might have had for many people, especially in competitive circles. ARMS was a Failure ? ARMS was a DIFFERENT kind of Fighting games. ARMS = Dhalsim style Boxing games + Weapons. My daughter wanted this game bad. It was our first Switch game, But after playing it a few times, she never played it again. If I look at a price per play time comparison, ARMS has by far been our most expensive least played game. I think I will try it again but use standard controls instead the motion controls. Couldn't agree more ARMS is different from any other games and for something to sell in the millions is not a failure but fanboy rant only. ARMS fits for some and not for some. The game play of ARMS isn't like others and to expect it to be like others sitting as a couch potato will be disappointed. Nah. It's a meme to say "ARMS is dead" and stuff, but calling ARMS a failure is dumb. It sold very well for what it was: a fighting game and a new IP. That said, people whine about how "Nintendo only milks the same franchises" yet when there's games like ARMS and Splatoon, they suddenly shut up and ignore it. @Anti-Matter None of what you said made any sense. The type of game nor it's approach to the fighting genre isn't relevant to the discussion. From a business perspective it is a success in terms of sales however the issue I was referring to was in terms of longevity like @Haru17 mentioned and the amount of wasted potential in the game. ARMS may have sold well but I'm afraid in the long run the sales will eventually die out as well as the competitive community seeing how it's already being overshadowed by big games like Splatoon 2 and Smash Switch. @EvilLucario By failure I mean in terms of longevity and execution. Yes from a sales perspective it is undoubtedly a success but as in support it already seems to be dying down as well as being overshadowed by bigger games. Also you couldn't be any more correct about the IP statement. I found it amusing how fanboys complain about Nintendo "milking franchises" when yearly releases are prominent like Assassins Creed, CoD, etc. If you think about it, most of the games being released today are sequels, new IPs are too much of a risk for developers these days. This is a business success in terms regardless of how one wants to be a revisionist. If that line is true why even mention Smash and Splatoon shouldn't be relevant to this discussion as well. Your own words in reverse. When that times comes then it will come but to think one knows the sales is very short sighted already. Arms isn't a Splatoon or Smash so let's stop the comparisons since they aren't the same game play. I don't think ARMS is a wasted potential. I called ARMS = Oasis in the desert. 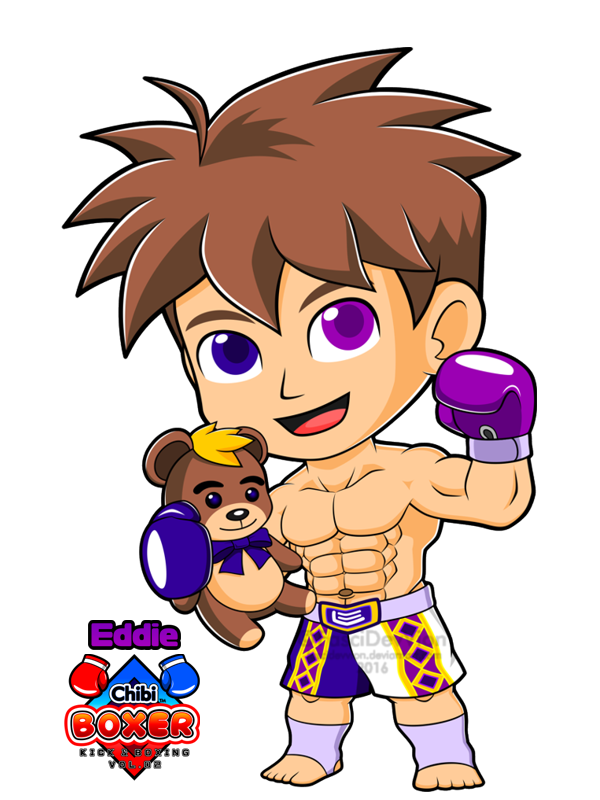 I haven't found any decent Boxing games since NDS era (Animal Boxing NDS was my Last Boxing games on NDS). I have a Big interest about Boxing / Kickboxing / Muay Thai / K-1 / Karate so ARMS was satisfying me with Boxing style games on Switch. 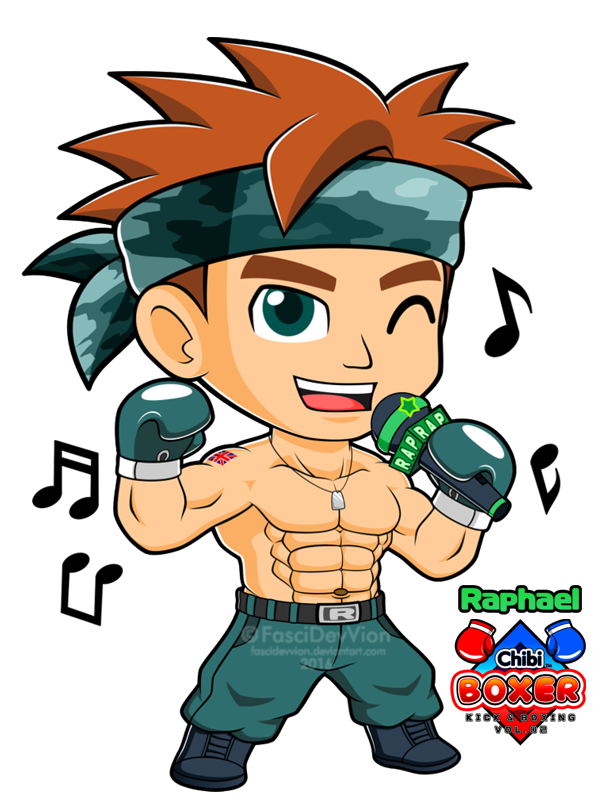 I see a good potential from ARMS, maybe Nintendo & 3rd party developers can Revive some Boxing / Kickboxing games just like on NDS / GBA / Wii era. 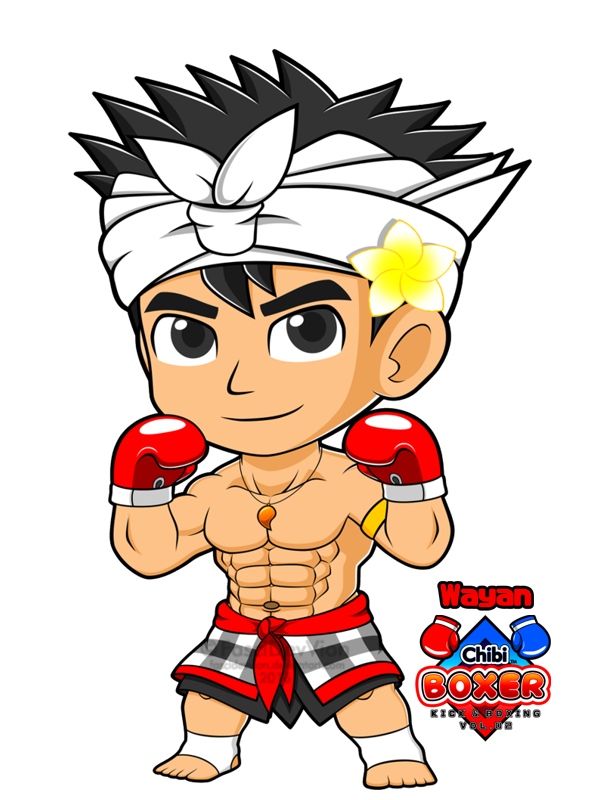 That's why i created my own Chibi Boxers as my Dreamy characters if only my characters will be Realized on games. Here are some of my examples. Well if you were to read my post of this topic you would understand I brought up Splatoon and Smash because I mentioned how ARMS was being overshadowed by bigger games. That's true I don't know the future sales of the game and it's most likely going to pass the 2 million mark. But at the slow rate it is selling it seems to be the effect of the "hype" dying out and I fear it the pace may even worsen seeing the recent announcements we had. I never said ARMS is Splatoon or Smash nor did I compare the games themselves, I merely said that ARMS is being overshadowed by those two. @YummyHappyPills GTA V is a failure by Square Enix standards.